We are always trying to find ways of saving money in our home. So a few months ago money was particularly tight and we had to look for ways to cut costs. 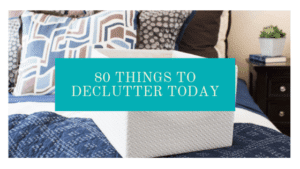 We’ve found a few ways to save us some money but we needed to save more monthly. 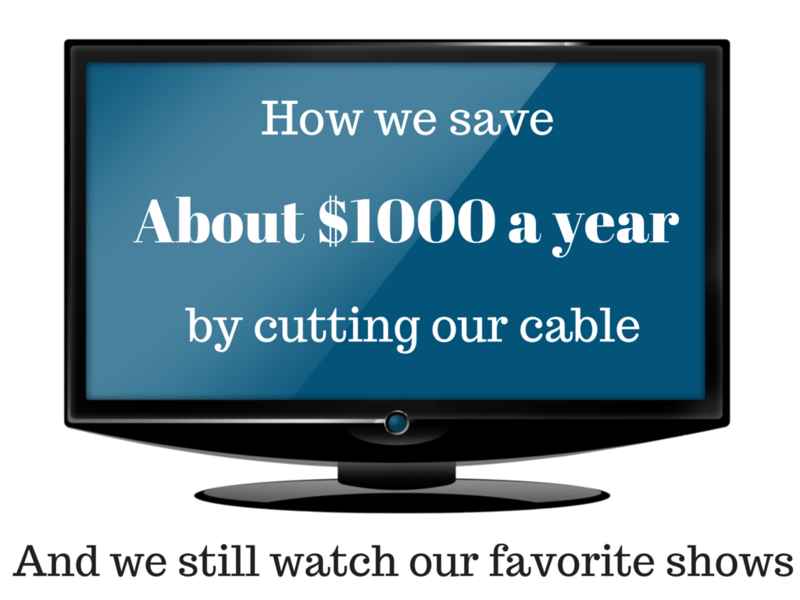 So we took a serious look at TV costs and this is when we decided to cut the cord. This is why you cut cable to save money when you are on a budget. 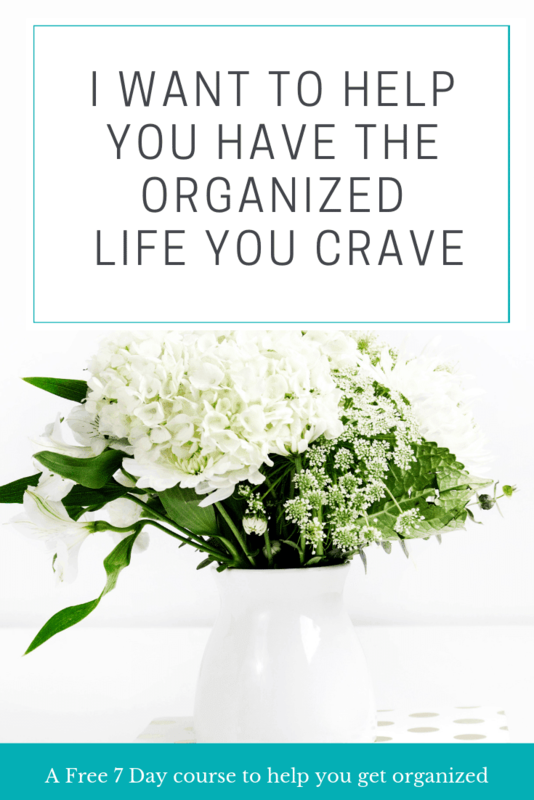 We are a TV-loving family but with Satellite and DVR we were spending over $100 a month and that was just way too much for us on a limited income. I still really wanted us to be able to watch our favorite shows and to have lots of options for Isabella to watch as well. So we started with Netflix streaming. This is when we still had cable but we wanted to get movies and kids shows that Netflix offers. They offer a ton of kids programming, movies both older and some from as recent as a few months ago. They also have lots of series of shows, you don’t get the most recent season but it’s a great way to be able to watch shows you didn’t watch when they were airing. Like I discovered the Office and Bones through Netflix. starts at $9/month for their basic package . There was still the issue though of the fact that there were a lot of programs that I enjoyed and had been watching for years and wanted to keep up with the current season. So we also got Hulu. With Hulu, you get the newest episodes of shows the day after they air. The only real downside is that CBS doesn’t put their shows on Hulu but ABC, NBC, and some of my favorite shows from past years, as well as some cable channels, so it covers most of my shows that I watch. Cost $6/month. We also have Amazon Prime. My husband really wanted it for the free 2-day shipping with Amazon but you also get some free movies and TV programs that aren’t available on Netflix. I don’t think we would have got it just for the TV but it was an added bonus. You can also pay to rent movies from it directly which is an added bonus that we have enjoyed. It’s nice to be able to rent a movie for $4 or $5 from your own living room. Cost 99/yearly which is $8.25 a month. So for Amazon, Netflix and Hulu, our Monthly total is 24.25 a month which is a lot cheaper than the $120-$130 per month that we were spending before and I get almost all my regular shows plus tons of other shows and movies. It is a much better deal and I hardly miss regular TV at all. I really enjoy not spending that extra $100 a month. 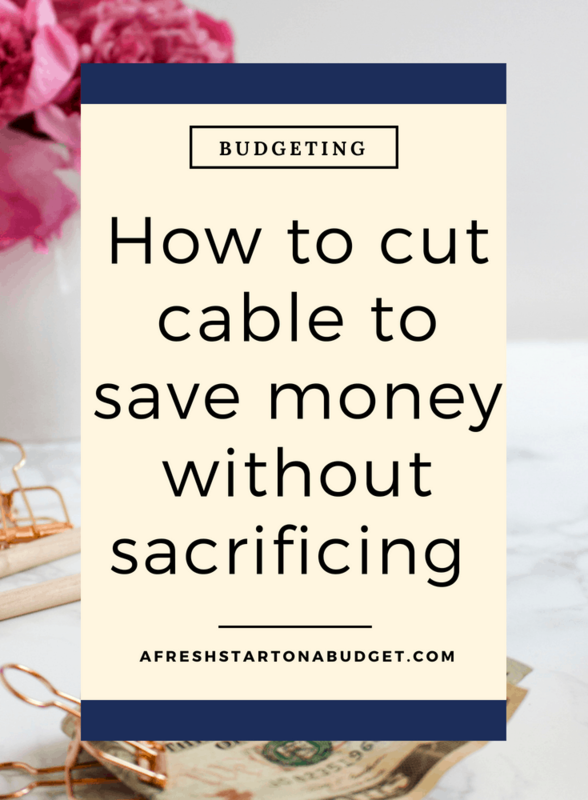 We have found that making the choice to cut cable to save money really paid off for us and we hardly even notice a difference. You will need a way to watch these applications though. You can watch them through Blu-ray DVD players, PlayStation and an Xbox, There are also other options out there like getting an Amazon fire TV or Amazon Fire Stick with Alexa which we got for Christmas. We love ours and it lets us be able to watch Hulu, Netflix Youtube and Amazon right on our TV plus it has voice control which is really amazing. We cut cable almost a year ago and made sure to have a subscription to Hulu+ and Netflix. It has been such a great decision! Great post! I encountered the same thing two years ago. I have been with out a cable service since and use Netflix, Hulu and Amazon Prime. I actually do not have much time to watch TV anyway so watching it on demand when I can works for me. I don’t need the real-time gratification of a cable service. 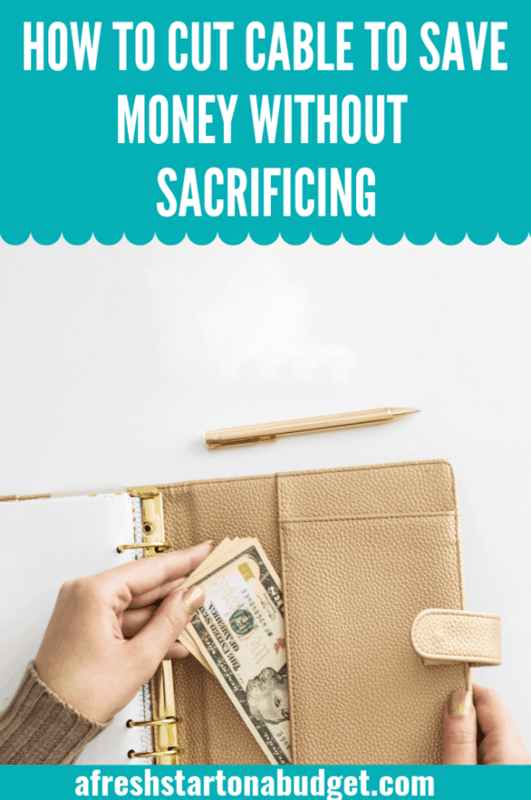 Saving money is the way to go! 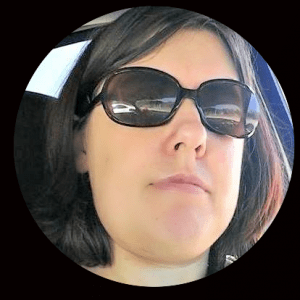 Faith Ellerbe, The Frugal Fur Mom recently posted…Our So-Called Snow Day In N.C. If my parents were more tech savy I would ditch cable but since they have trouble running a computer I keep the cable. Ah we still have cable…not sure if we can still watch all of our shows if we didn’t? I will need to look into it because it’s expensive!! That is a pretty good savings. I shouldn’t have satellite because when I’m at home the TV is usually only on for background noise. You’ve given me something to think about. I already have Netflix & I love it! Ahhh I cut cable a couple years ago and I was fine, but now I am re-hooked on cable shows! I have been debating over this for a couple months now. We are moving soon so I think I just won’t re-purchase cable when we move and see how we do lol. Love netflix! I have so many friends who have done this, and we are seriously contemplating it. It would save us over $100 a month which is a pretty good amount. We haven’t had cable in about 5 years and it’s amazing how you really don’t miss it. We only Netflix and that seems to work for us. 🙂 every once in awhile my husband wants to watch some type of game, but can usually either stream it on his tablet, or get a friend to ask him over to watch it. I have been really wanting to do this. I also pay almost $100 for my satellite, and already subscribe to Netflix and Amazon Prime… I think by adding Hulu, we could manage. AWESOME post! And great idea on “cutting the cord”. we all need to do that every once in a while just to save. It’s the little things! In all of my adult life, I’ve never paid for cable and I’m perfectly happy with that! We have an antenna so we can still watch basic channels and football. We also have prime and netflix which we spend most of our TV time watching. ps, I can’t believe that you have just discovered the office!!! Probably my favorite guilty pleasure ever! I wish I could get my parents to understand the concept of online streaming. But they are so set in their old ways and refuse to let go of cable. I have often thought about doing it. Thanks for all the info. I’ve been looking into doing this myself. Cable is just so expensive when I watch the same few shows over and over and most are on hulu or netflix anyway. We got rid of cable over a year ago and don’t miss it at all. It’s saved us a little money, but we lost our better deal on internet without it so that part was a bummer. It’s better that we don’t have it because it was such a time waster for us. We switched from cable to Hulu and Netflix last year and have recently added Amazon Prime. It’s so much better than keeping expensive cable. For live TV events, like the Victora’s Secret Fashion Show, we turn to YouTube for highlights and the full show. With all of the that combined, we never feel as though we’re missing out. Our household has recently done the same! We have Amazon, Netflix and Hulu and love it! 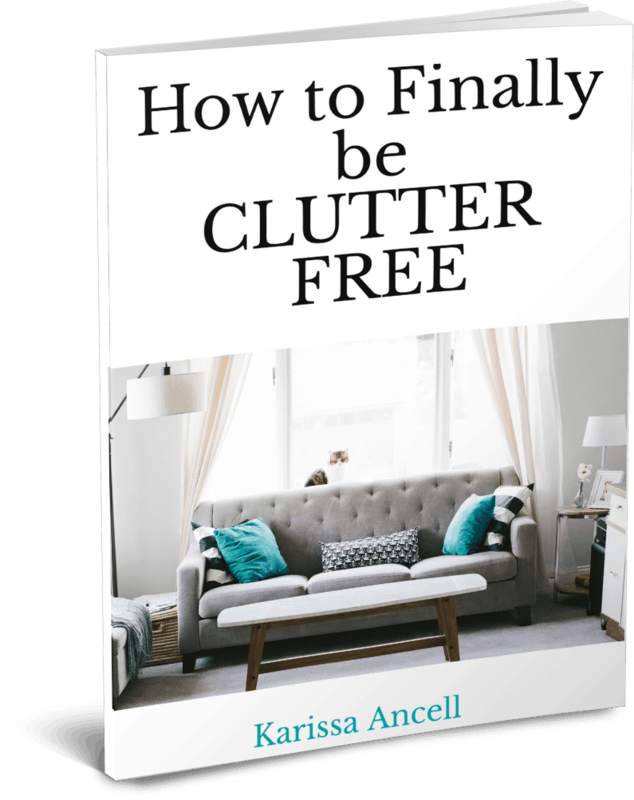 We found ourselves watching these more than our cable channels anyway and it made for a great money saver! I’m glad I am not the only one 😉 Thanks for sharing! Great job, cable is so expensive and just such a waste! I feel like that money I spend on cable could be vacation money or money to use to do outdoor activities! With TV shows being online and other internet outlets it is almost pointless for cable! I’m dying 2 cut the cord too, but I want 2 be able 2 watch the chiller channel and I keep thinking it’s pointless because I would still have 2 pay for internet. I figure my internet would be more money since it comes in a bundle, internet, tv, and home phone which I do not use. I don’t even have a landline phone connected so its a waste of money. It’s just the price of the internet that’s keeping me back. What’s the since of cutting cable to save and then have 2 pay it when they raise my internet, and the company just send me a notice that my bill is going up next month. They have some nerve. My husband could cut the cord no problem because he is never home. But it is definitely a lot harder for me. Its my outlet and we are a tv family in the evening. That’s when I watch all my shows on the DVR. We haven’t had cable for years and I don’t even miss it! We have Netflix and Amazon as well, but also have an antennae that gets mounted in the attic, this allows us to get the local stations, ABC, NBC, CBS etc. The only thing I wish I had was DVR to record the shows from the TV, but Hulu would help with that. I should look into that! My teenage daughter and I have been without cable for 5 years now, Sept 10th will actually mark our “No T.V.. Anniversary” .We really don’t miss it .Julia enjoys Netflix. I enjoy reading. I wonder when she has her own place will she have cable .Hmmmmmm . how do you make this work without internet ?? ?